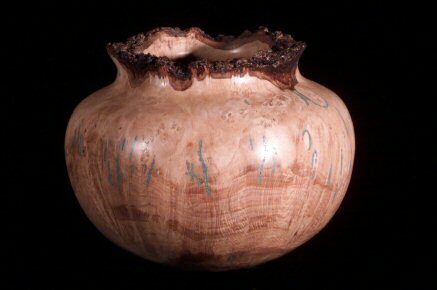 A 6" x 13" Oak burl with turquoise inlay. This piece is finished with oil and wax. 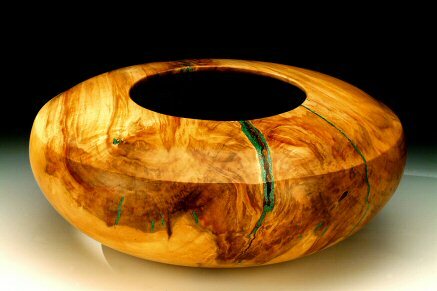 Box Elder that is 5" x 14" with malachite inlay. Contact Jerry about similar pieces . Contact Jerry about similar pieces. 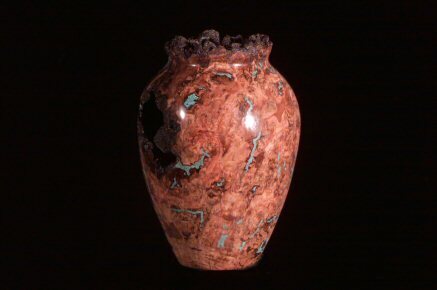 Inlayed with turquoise and turned from Cherry burl. This piece measures 10" x 7" and is finished with oil and wax. 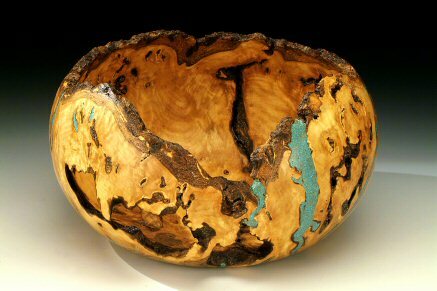 Maple burl, 8" x 11" with turquoise, finished with oil and wax.